Today is World Water Day, which has taken on a special meaning at Qlik. Instead of pledging money, packing boxes or selling cakes, however, we’re using our people, software and data as a resource to help analyze and take action on the global water crisis. 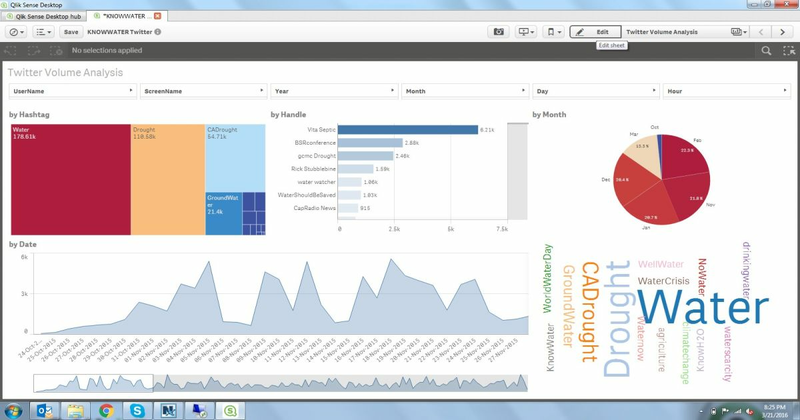 We built a team of Qlik employees, who have volunteered to create a Qlik Sense app that analyzes topics like water quality, scarcity and cost. The team consists mainly of experts in data management and visualizations, one of whom has firsthand experience with the issue, and used to walk several kilometers daily as a child to get water. The app features input from NGOs, government agencies and other stakeholders, and will be publicly available so that anyone with an interest will be able to access it. The intention is to create an evolving resource, which will serve to educate the public about general issues and give experts a better analysis tool. Data will be regularly refreshed so that researchers will be able to test their hypotheses over time, and the public will be able to follow issues as they evolve and partake in “citizen science” through the use of social media. Qlik’s support for this project stems from its 2015 Commitment to Action as part of the Clinton Global Initiative. Initially the focus is on the water crisis in California, and will be expanded over three years to include other national and international locations where water availability and quality is an alarming issue. With the help of Circle of Blue, versions of the app were presented at the World Economic Forum Annual Meeting in Davos, Switzerland, where the global water crises was reported as the biggest threat facing the planet over the next decade. We at Qlik are very proud to offer our assets of people, software and data to support experts building solutions for the escalating crisis. We are also proud to inspire other organizations to get involved. The initial launch of the public app is expected in April 2016. In light of World Water Day, today’s post is guest-written by Qlik’s global director of CSR, Julie Whipple, and lead product manager Aran Nathanson.